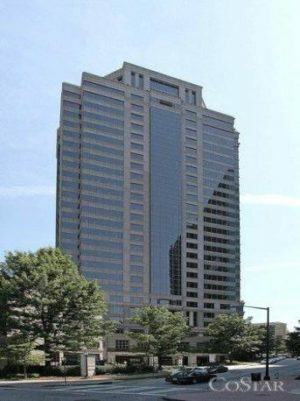 Very prestigious building in Atlanta, Georgia, the Virtual Office Atlanta Peachtree will impress the most demanding clientele. You cannot beat the affordable pricing for this business address, right in the heart of Midtown Atlanta. This beautiful, freestanding Virtual Office Atlanta Peachtree location is designed to fulfill the highest demands in luxury and technical know how. The large amount of parking located around this A-Class building enables you and your clients for ease of arrival and departure. No matter if you want to occupy traditional executive office space or chose from one of our virtual office services, this location will impress your clients. Our friendly and professionally trained staff is at your disposal and will represent you in your companies name. Whether we need to accommodate a client, receive your mail or answer the phone for you, we will always do it in the most respectful way, so your customers get the real corporate experience. Virtual Office Atlanta Peachtree is only 20 minutes driving time from Atlanta International Airport and can be accessed best via Interstate Road 75 and 85, just minutes away from the highway. As always we make it easy for you to get started, you can just add the services you wish to start with into your card, establish an account with all pertinent information and in most cases we will have you up and running in less than 24 hours. For a more frequent use of the executive offices space you might want to consider to enter into a lease agreement for traditional office space. Our office suites are already fully furnished with wired and wireless internet as well as VOIP Phone technology. To inquire about executive office space or to tour the facility, kindly contact us at 1.866.793.7969 or send us a message by using the button below the description field. Pricing and feature offerings may vary by location. Please allow 24h for set-up. 3 month minimum agreement term applies to virtual office locations. Directly located at the crossing of the Florida Turnpike and Interstate Road 4 with free parking and first floor location, makes this Virtual Office Orlando at Mellinia Blvd a preferred choice for many. Virtual Office des Moines, a business center defined with with standards all others will be measured. Use it to work in the office or at home with the complete virtual office service system. Great Virtual Office location in Hollywood, Florida, close to both international airports of Miami and Ft Lauderdale, easy access over Interstate Road 95. Setup is as always swift and likely done the same business day. Fully serviced and furnished executive office space in Las Vegas. Free standing building providing a variety of virtual office services as well as traditional office space for marginal pricing. The Virtual Office North Miami is the perfect location for companies doing business in both, Miami-Dade and Broward county. Not far to Aventura and still close enough to down town Miami. Can be easily reached over Interstate 95. Virtual Office Washington, Virginia. Located just north of the city and only 20 minutes driving time to the down town area. One whole floor of executive office space with a shared reception area, conference rooms and administrative staff on site. Short term lease agreements available, or just chose from one of our virtual office plans. Located in the heart of Lake Mary this Virtual Office is situated in the northern part of Orlando and perfect for customers preferring to be at the outskirts of the city rather than within. Easy to access first floor location and ample parking allow your clients for swift approach and departure. Virtual Office Jacksonville providing executive office space and virtual office services in the South of Jacksonville, easy to access over Interstate Road 95 and only 30 minutes driving time from Jacksonville International Airport. In the heart of down town Greensboro in the newly constructed office building of 324 South Elm Street lies Virtual Office Greensboro. One whole floor of executive office suites with a shared reception area and professional staff on site. The perfect location for the businessman with frequent travel requirements. Executive Office Raleigh is located just 10 minutes away from the airport, plenty of onsite parking warrants swift access and departure.